Shop sign of a hat shop in Linz. I’ve no idea why the faces are green but the green colour makes the sign even more remarkable. The decoration on the right side is part of the Christmas decoration 2014. 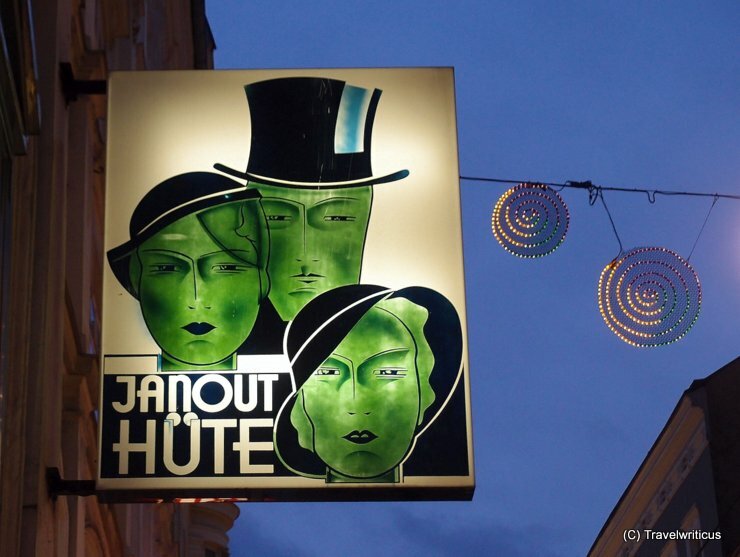 This entry was posted in Signs and tagged Austria, Linz, Upper Austria by Travelwriticus. Bookmark the permalink.